My living room has looked exactly the same for over a decade. It's super pretty and the red has always made me swoon, but this weekend after we made some changes in the kitchen, painted our patio and replaced the front door, the room looked a little tired. You know how that goes. Renovation and remodeling tends to be contagious. Despite the fact that it was close to midnight, which is actually when I do my best work, I started moving things around. An old white bench that had been next to the front door for years caught my eye. 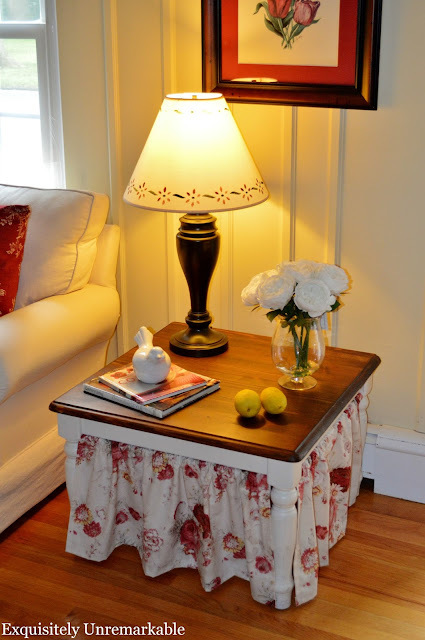 It was bright and light and cheery, a definite change from the dark topped table that had been there before and, even though it was a little beat up, placed next to the couch, its cottage style charm made me smile. It was perfect. Well, almost perfect. What I wasn't thrilled with was the fact that I could see right through to the wall...to the cords and the radiator. I had skirted the table that was there before for the very same reason. Easy solution, but two table skirts in one room? Nope, that wasn't going to do either. So I put my thinking cap on to figure out what I could add to the back of that trash to make it treasure. Lucky for me, when we replaced the front door, the ceiling in the vestibule needed to be replaced as well. My husband used beadboard in keeping with the rest of the house, and we had a little left over. Eureka! I knew it would add to the rustic look of the bench and hide all the ugly I didn't want to see. I had picked this little number out of the garbage years ago. It was tucked into the entryway and I would sit on it and wait for the school bus. It never dawned on me to paint it, I liked its rustic appeal. It was clearly handmade by someone and I liked that, too. But since my husband already had the paint and roller out I decided to give it a quick coat. Enough to clean it up, not enough to erase its personality. 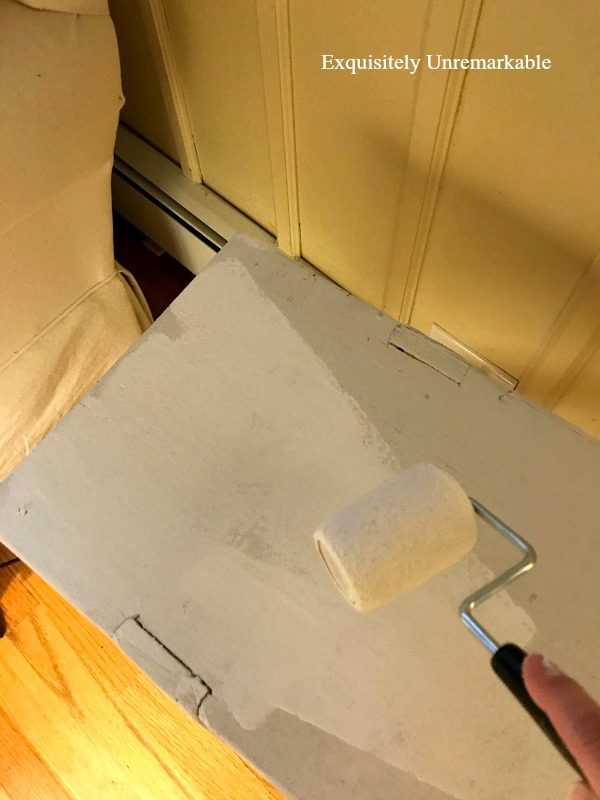 The next morning, when the paint was dry, he took it outside and got to work on the backing. First he put the table on the beadboard scrap and marked the edges for size. 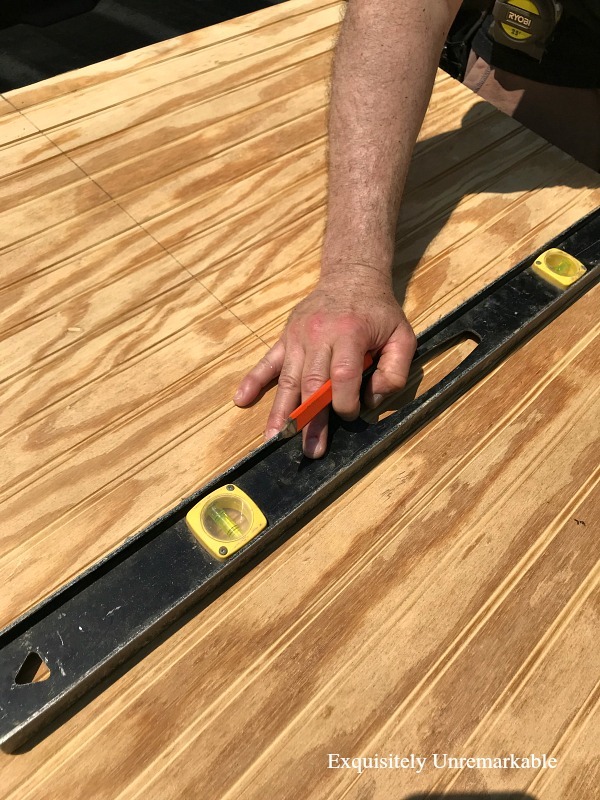 Next, he used his level to connect his marks and give himself a clear pattern line to cut. The piece itself was not totally straight, so this was the best way to get an exact fit. With the wood mounted on two saw horses, he used his circular saw to cut it. The weather was sunny (finally), so he was able to paint the wood that day and nail it on to the back of the table the next morning. A few small finishing nails with a hammer was all it took. Honestly, the drying time was the most time consuming part of the project. Now the table looks a little more substantial and I can't see the wall, the radiator or those messy cords anymore...and I still have the charming, cottage style look I adore. Not bad for a curbside find. The living room is looking up already. What have you made over recently? Thanks so much, Nancy!! Ha...and yes, Mr. Handy Dandy was dressed appropriately for the weekend...and for the DIY! Hugs! I bought new curtains or my daughters room that needed to be shortened 18 inches. I took the extra fabric and made two cute pillow covers. That sounds fabulous, Pam! I love when you get a bonus from a makeover! It looks so cute! You two are brilliant! Thanks Mari! You're so nice...but we do make a good creative team. That’s a great table!! I love it’s new update. Your house is amazing!!! Thanks Susan!! You are super sweet!! Great spruced up look to that little side table. Perfect with the bead board . . . I can’t think of any make over projects I have done lately. I did salvage a concret planter I had outdoors. and I laid one piece of the planter inside the other piece . . .
filled it with potting soil and planted some bells of Ireland and poppy seeds in it. One would never know it is in two pieces . . .
As soon as the seeds pop it will be disguised even more. Thanks sounds like a makeover to me, Lynne!! Very creative, too. A lot of people would've tossed it, myself included perhaps. Now I will think twice. Brilliant, Kim! I think these old, sad pieces need new life sometimes, and in that we are a lot alike. You did a great job, I love it. We have the same baseboard hot water heat. It's really ancient, don't you think? Yes, totally ancient, Jane. If it were really, really ancient, like the old standing radiators at my grandmother's house, now that would be charming, but these just get dusty! And thanks for the sweet table comment. I really like it now. What a clever idea! Your table works perfectly in its new location. 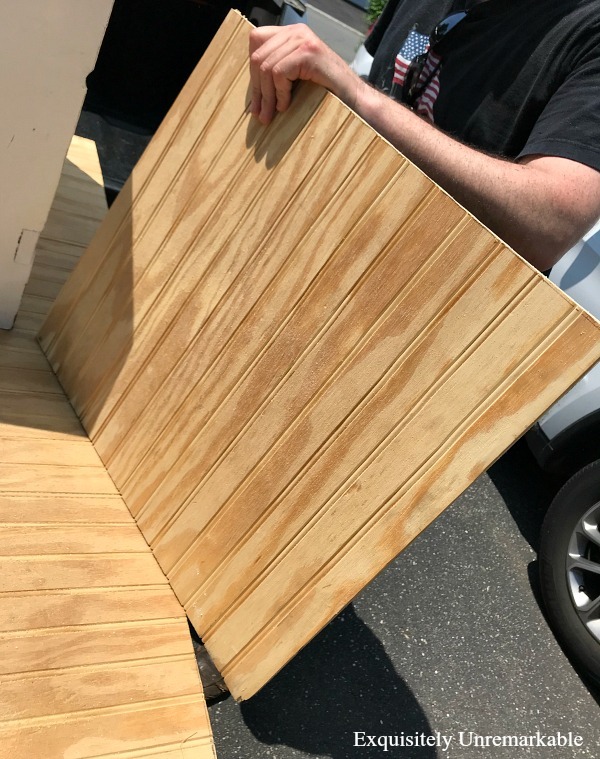 The beadboard is a great choice for backing material. Very nicely done. What a great piece. I love that it was handcrafted and that is a big part of its charm. Thanks Lorri. It's a really cool old piece and I had forgotten we even owned it since we never use that entryway. I'm happy to be able to show it off a bit...especially in it's new state! 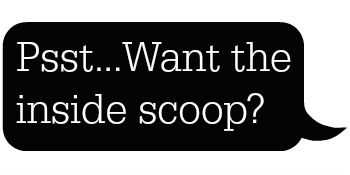 I love the idea of shopping your own home to get a new spin on something! Great job! Thanks! I had totally forgotten I even owned it. And free is for me!! Love what you have done!! Very cute! Thank you Angela! It was an easy upgrade. Looks great Kim. You always have a great eye for fixing what is broken or in need of love. Have a great evening. That looks amazing, Kim! 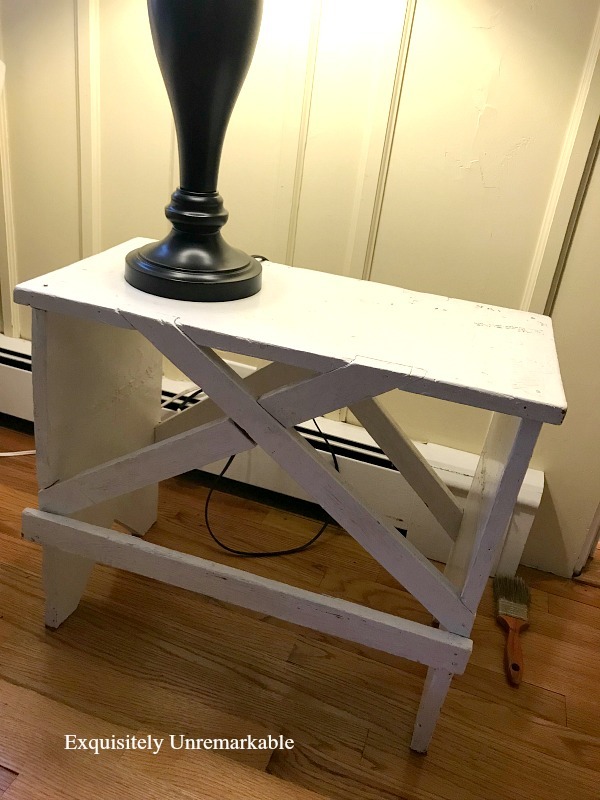 Beadboard makes everything prettier but this was a cute table to begin with. You make me see things with new eyes. Thanks Stacey! I wracked my brains trying to figure out what to use and in bed that night (thank you midlife insomnia! ), the idea hit me. It’s perfect! Using the bead board was a clever solution. Thanks so much, Lisa! I love scraps. They make the best project pieces! That's totally cute Kim! Love that handmade, garbage-found table. The backing was an improvement. It shows up the cuteness of the table now. I haven't done anything but downsize and go for more simplistic lately. We're in the middle of having floors refinished, then carpet replaced. Come to think of it, I'm sort of redoing our powder bath. Sounds like you're actually making over a lot of spaces, Florence. It's always the way right, you make your home pretty for sale...good luck! it's so proud and pretty sitting there! and doing a wonderful job of hiding ugly cords. I recently bought new floor mats for my very old car. i 'detailed' it all so clean inside. and then put down the new floor mats. it feels like a new car! does that count? just the little things like good maintenance in anything really can make all the difference. That sounds like a makeover to me, Tammy! We spend so much time in our cars, a little sprucing can make all the difference. Wow, Kim! 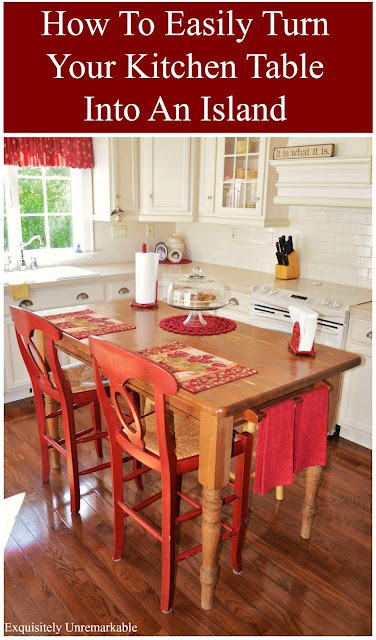 Your altered table is amazing! I am doing my crafts at midnight, too!!! Kisses, my friend. Midnight adds magic, Mia...I am a firm believer in that! Hugs back to you! 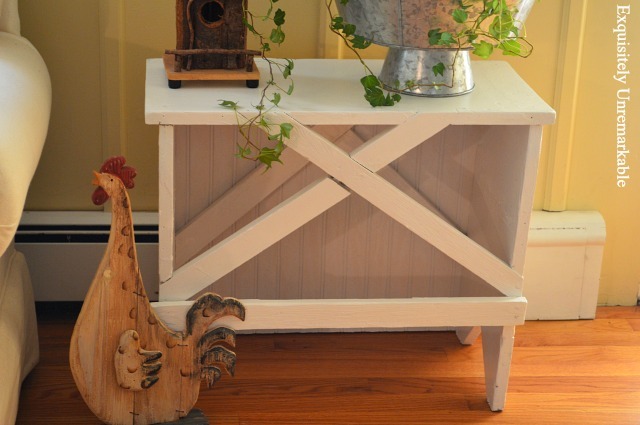 Love beadboard and love this cute table. Great idea for hiding the cords. Thanks so much...and yes, those cords are my nemesis. I'm slowly but surely repainting my kitchen cabinets! One more section to go! I also plan to freshen up the trim work in the main living areas this summer, as well as the hallway doors, and paint the hallway. Like you said, one thing leads to another, but also these spaces are in need of some freshening up! One thing does lead to another!! I bet your cabinets and fresh trim will make the whole place feel brand new. Home...but shinier! Love that! 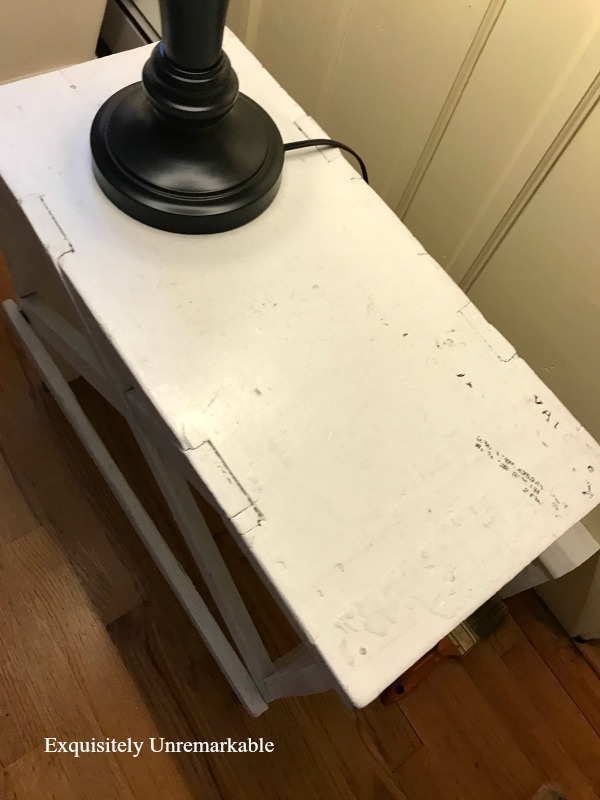 Perfect solution to the open back of that cute table! I love open tables, but I know what you mean about seeing the cords. That drives me crazy, too! Thanks so much!! It's a catch 22 for me, Melanie. I really do like that open airy feeling, but the cords. Grrr...and that radiator just interrupted my eye. I am happier with it now! Kim, beadboard makes everything better! Of course your table was adorable before but now it is actually super functional. Beadboard does make everything better...and thanks Mary!! The skirt on you square table is still lovely, but yes, two in one room would have been a bit much, I suppose. I don't know that I've made anything lately. That must change! I have a 6' desk I paid $2 for that needs to be cleaned up. Oh! One of the drawers is missing on one side. A SKIRT!!! You're brilliant! Hi Nancy! Thanks so much for all the kind words. I really like it better this way, too. Actually the hubby didn't remove anything. The table/ bench was clearly a handmade piece and was not symmetrical at all. There was no bar across the back, only the front. There were no nail holes or paint marks to indicate that there every was one. What you saw in the post was really all there was to it. 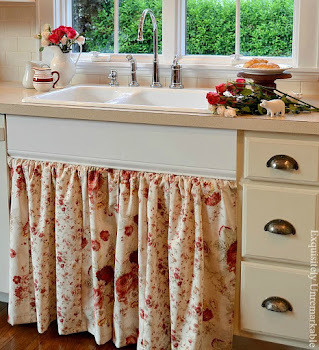 And yes, I agree, two skirts in one room would be too much...thank goodness for scrap wood. Great idea to just put a back on it. Looks great! I am working on my garden....I always add a few new things and take away some old. It is always a work in progress. Thanks AnnMarie. It really needed something and my design OCD could not deal with the view of that wall. Enjoy your yard. Nothing better than hands in the dirt!! I am crazy for bead board and shiplap. Just love the makeover you have done! Cute, cute table! Thanks so much, Jemma! I was lucky to have some extra hanging around. Enjoy the week! Thanks so much, Judy! I am not surprised that we had the same thought. We seem to have very similar taste and a similar design aesthetic. I think your home just perfect. I have said it so many times and stick by it, that I would love to shop your house! Don't have me over for a visit, I may leave you a pile of cash and walk out with a bunch of your stuff!! Ha! And yes, this new commenting thing is the pits. I really miss the emails and hope that comes back soon. It's a sweet little table Kim. I love the clever way to hide the cords! I have a small table in our bedroom that shows some cords behind. Going to see if hubby can do something similar. Why thank you, Jann! I love an open table, but the cords and the radiator were just not sitting well with me. I bet your handy hubby could make something like this work. You'll have to keep me posted! Thanks Pam...and yes, the skirted table is awesome. I love it and decided to make it the coffee table. Center of attention! I think the painted one fills the space well. Hey Kim...thanks for stopping over to visit me at my blog. Pour paint is really neat to play with. I have done it on pieces of wood where I put paint in a small cup, held the board up to the cup and flipped it all over so when I remove the cup I move it around and paint goes all over but on the rocks I just squeeze it from the craft paint bottle...ENJOY and have fun doing it. Thanks Julie! I love the fact that the cords can't be seen anymore! Yay! Now doesn't that look great! 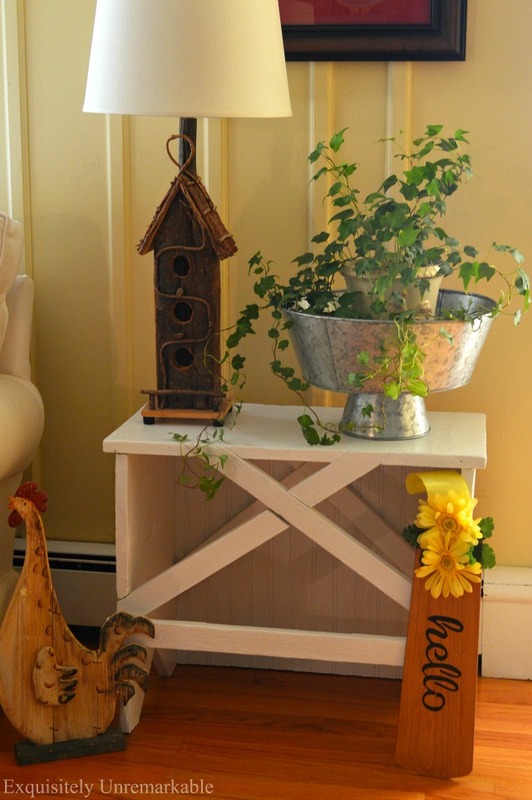 Great idea to use the bead board to dress up your little table. The perfect cottage touch. Thanks Kristi! I really like it now! THAT is very cute!! You may need to paint the crosspieces red................oh, you already painted it! I'm kidding you....it looks GREAT! 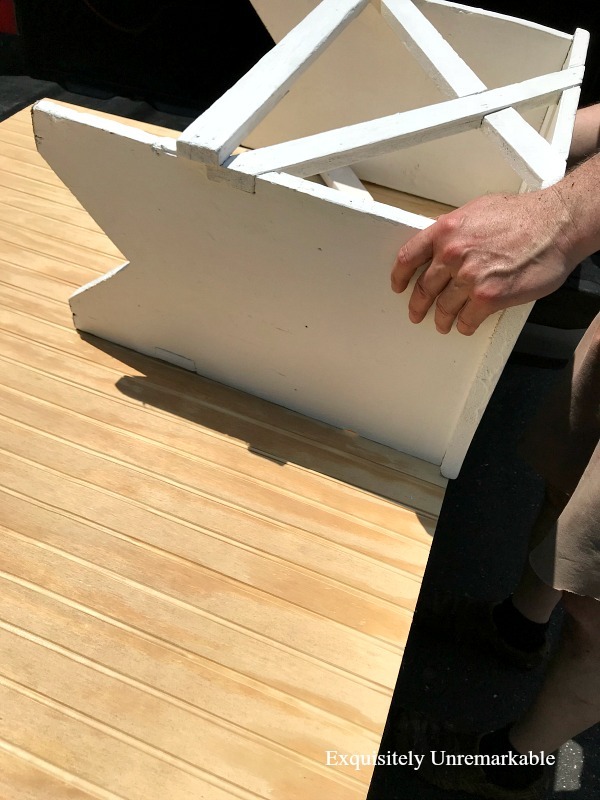 Love this project, Kim! Beautiful idea.Enjoy your weekend! I know...I was chuckling, too. But then again, maybe it should be red!! I like the white - it's perfect! The last thing I did to change things up in the living room was washing the linens I have on the tables. They are so nice and white after a wash and time in the sun. You have been so creative! I agree, Ronda, freshly washed linens always add so much freshness to a room. And thank you for your kind comments!! Cords drive me nuts--we seem to have that in common, too ;) Very clever and pretty solution! Oh, they make me crazy!! I just wanted them to disappear and quick. That one board did the trick!